Please join us for today’s service led by Rev. Paul Dodenhoff. This is the 4th in a 4 Part series. Some of the greatest conversations, even spiritual ones, happen in bars (or coffee houses, if you prefer.) 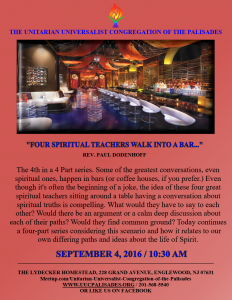 Even though it’s often the beginning of a joke, the idea of these four great spiritual teachers sitting around a table having a conversation about spiritual truths is compelling. What would they have to say to each other? Would there be an argument or a calm deep discussion about each of their paths? Would they find common ground? 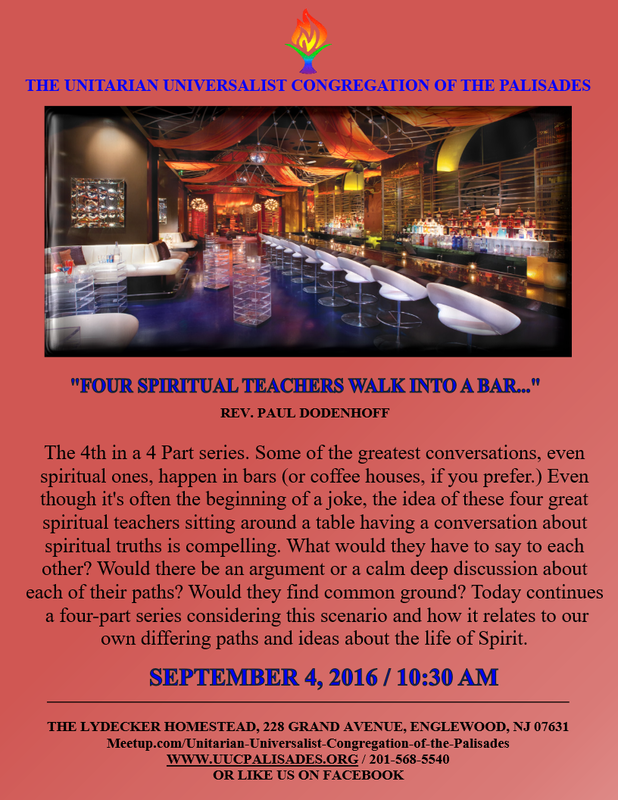 Today ends a four-part series considering this scenario and how it relates to our own differing paths and ideas about the life of Spirit.